There has been a rise in the number of young Indians diagnosed with arthritis and other problems of joints and ligaments. 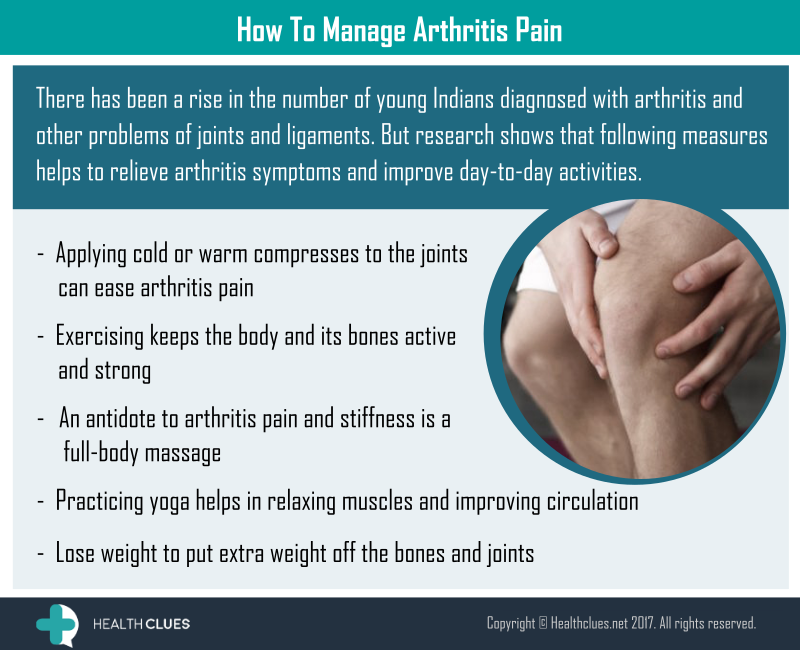 But research shows that following measures helps to relieve arthritis symptoms and improve day-to-day activities. Infographics, Osteoarthritis arthritis, arthritis pain, arthritis pain manage, exercise, Fitness, joint pain, knee pain, manage pain, pain. permalink. Thank you so much for giving such kind of information. I was looking on google and I saw your blog. Its really very helpful. Thanks for sharing with us.